Ernie Nolan is an award winning director and playwright who received the Illinois Theatre Association’s 2014 award for Excellence in Theatre for Young Audiences. As Artistic Director of Emerald City Theatre, recent projects include writing the world premiere of HANSEL AND GRETEL: A WICKEDLY DELCIOUS MUSICAL TREAT along with Grammy nominated recording artist Justin Roberts, directing the American premieres of Stiles and Drewe’s GOLDILOCKS AND THE THREE BEARS and the THREE LITTLE PIGS, and creating the interactive/immersive theatre pieces for the very young THE TEDDY BEARS’ PICNIC and BINGO’S BIRTHDAY. In addition to directing and writing over 20 productions for Emerald City Theatre, Ernie’s playwrighting has been featured both nationally and internationally at such theatres as The Coterie, First Stage, Walnut Street, Orlando Rep, and Children’s Theatre of Charlotte. He has written commissions for Adventure Theatre in Glen Echo, MD, La Jolla Playhouse in La Jolla, CA, and The Milwaukee Zoological Society. Also a resident artist of The Coterie Theatre in Kansas City, MO, he has directed and choreographed world premieres by such Tony-nominated artists as Willy and Rob Reale, Stephen Schwartz, Stephen Flaherty and Lynn Ahrens, and Bill Russell and Henry Krieger. For Chicago Playworks! he has directed THE BFG, THE GIVER, THE WITCHES, A WRINKLE IN TIME, NUMBER THE STARS, and THE DAY JOHN HENRY CAME TO SCHOOL. In March 2012, Ernie made his Off-Broadway debut as a choreographer with LUCKY DUCK at the New Victory Theatre. In addition to his duties as Producing Artistic Director, Ernie is an Assistant Professor of Theatre Studies at The Theatre School at DePaul University as well as the Vice-President of Theatre for Young Audiences USA. In February of 2014 he was invited to participate in the ASSITEJ Next Generation program hosted by the Tifli Festival in New Delhi, India. He has also participated as one of the American delegates at the ASSITEJ World Congresses in Copenhagen, Denmark and Warsaw, Poland. 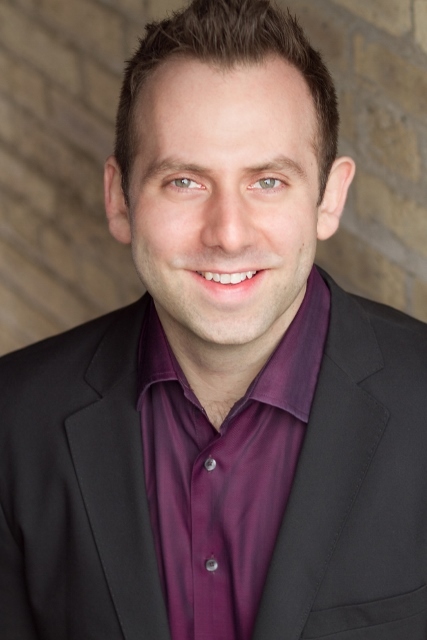 He is a proud graduate of both the University of Michigan Musical Theatre Program (BFA Musical Theatre) and The Theatre School at DePaul University (MFA Directing).